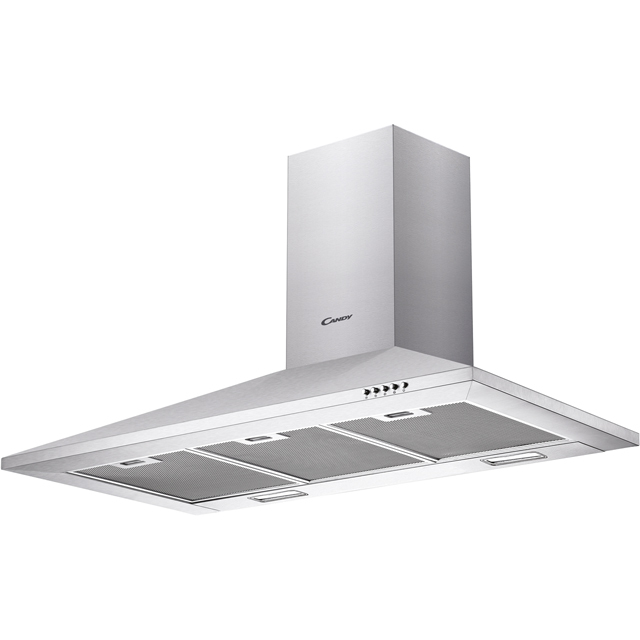 Banish lingering odours with this stainless steel chimney cooker hood from Candy. Measuring 90cm wide, it’s ideal for larger hobs or a range cooker. And with a maximum extraction rate of 305 cubic metres per hour, it’ll quickly clear the air in a smaller kitchen. The medium noise level of 62dB is similar in volume to a family conversation, so you won’t have any problems keeping up with those video recipes while you cook. Plus, if you need a better view of your pans, just switch on the hood’s LED light using the simple push button controls.